I designed this headline typeface for the dramatic relaunch of USA TODAY, which was overseen by Wolff Olins. The condensed style complements the paper’s proprietary version of Futura, but without resorting to the familiar elliptical shapes of Futura Condensed. 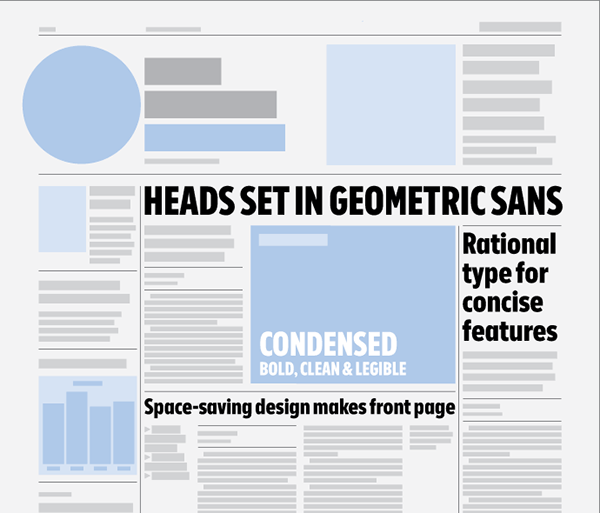 I tailored the aesthetic to support the redesigned paper’s bold sleek look, combining clean circles (as in geometric sans) with austere ovals (as in a grotesque sans). 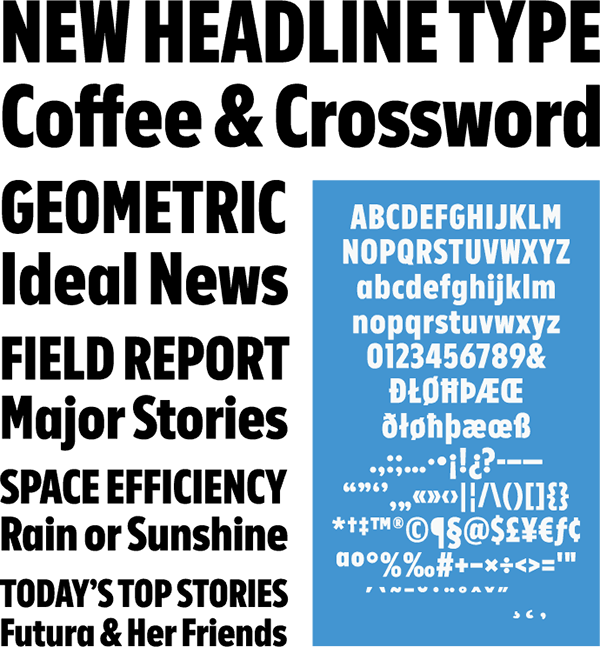 Currently only developed in a single weight, this typeface has strong potential for expansion into a family of styles. Please contact me for information about licensing or to underwrite further development.